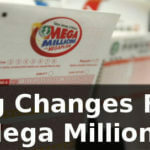 Get the latest Mega Millions news and winners here. Mega Millions breeds crazy big jackpots and the US cannot get enough of this game. Played in nearly every state now. Read more about the US Lottery and Mega Millions here. 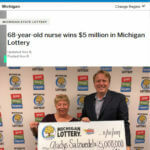 A home health nurse in Michigan can finally afford to retire after bagging a life-changing lottery win. Gladys Salzwedel, of Oakley, plays both Mega Millions and Powerball lotteries as these offer the biggest prizes. A hundred dollars was the most a couple from Waterford had ever won from the lottery. 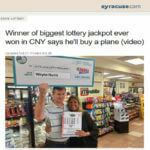 But when news came out that someone from their area won half of the $42 million jackpot, Stephanie Blake became so excited she woke up her husband Kevin. Who walks around with almost a million dollars in his pocket for months? 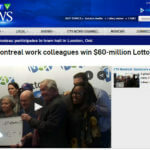 A lottery winner who has not bothered to check his tickets! Eliseo Gutierrez purchased a Mega Millions ticket for the June 16 draw, stuck it in his wallet, and then promptly forgot about it. Blessings come to us in different ways. For a Muskegon man, it took a cancelled flight to lead him to lottery riches. After a business trip, Paul Kuharevicz had planned to fly home. Lottery success this week belongs to the seniors. Two helpful New Jersey grandparents have just won a million dollar second prize from the Mega Millions Lottery and a grandfather from Gaithersburg is thinking about how to give back after winning $500,000.